It is difficult to imagine the stunning stories the Bishop’s Basilica of Philippopolis has collected over twelve centuries. The Basilica reveals them little by little. Join us in unveiling its secrets! Since Christianity became an official religion in the Roman Empire in 313 AD, the Philippopolis community faced two problems. The first were the heretics. Philippopolis was a fortress of the Arians, who believed that the Son of God was subordinate, not equal to the Holy Father and the Holy Spirit. The Arians were so many that when in 343 in Serdica (today’s Sofia) church leaders from all over the empire gathered and condemned their doctrine as heresy, an alternative council was convened in Philippopolis. It was attended by 76 spiritual leaders, Arians, and presided over by the Bishop of Philippopol himself. The city’s inhabitants remained heretics, and Philippopolis became the center of Paulicanism during the Middle Ages. The second problem in the 4th century was the lack of places for prayer. That’s why some wealthy people made their gorgeous homes available for religious purposes. Temples began to be built in order to meet the ever-increasing needs of the population. Thus, several remarkable basilicas appeared in Philippopolis at the end of the 4th and the beginning of the 5th century. The Bishop’s Basilica of Philippopolis was the greatest Christian temple in the city and remains one of the largest basilicas in Bulgaria since that period. Built on the site of an older one with a similar plan, the building unfolded on two floors with its exquisite marble columns and a floor covered with multicolored mosaics. The temple was discovered in 1986 during a major reconstruction of the central road in Plovdiv after archeological excavations. 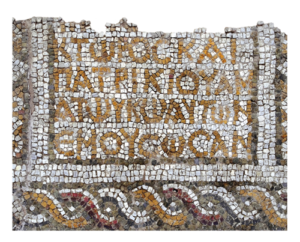 The mosaics were preserved on site in a temporary defensive building, which was left unattended and unsecured. This lead to its collapse and deterioration of the building, which fell victim to the weather and vandalism for decades. In 2015, America for Bulgaria Foundation initiated a project to uncover and exhibit the magnificent mosaics of the Bishop’s Basilica of Philippopolis. 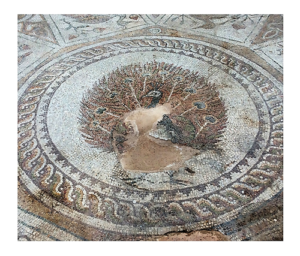 With the completion of the archaeological work of the site in June this year, experts revealed more than 2000 square meters of floor mosaics. Among the most remarkable discoveries are images of over 70 bird species, two mosaic floors created in different periods, numerous columns and capitelli inside the building and its beautiful yard. The large-scale project, which not only reveals this exceptional Bulgarian historical and cultural heritage, but will also change the appearance of the city, is realized in partnership with the Municipality of Plovdiv and with the support of the Ministries of Culture and Tourism. The investment of America for Bulgaria Foundation amounts to 8.2 million leva (approx. EUR 4.1 million). In 2019, when Plovdiv is celebrated as the European Capital of Culture, the Bishop’s Basilica will open its doors for all residents and guests of the city. The many layers of history will at long last be revealed in a two-story building in front of the Catholic temple of St. Ludwig. More about the Bishop’s Basilica of Philippopolis HERE. 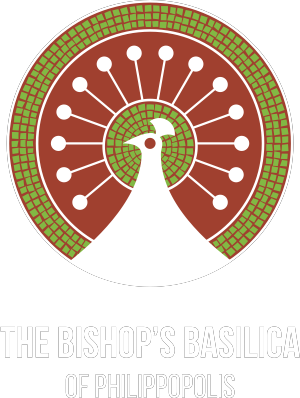 WELCOME TO THE OPENING OF THE BISHOP'S BASILICA OF PHILIPPOPOLIS IN FALL 2019. Text: © 2017-2018 Dimana Trankova. All rights reserved. English Translation: © 2017-2018 Anthony Georgieff. All rights reserved. Photography: © 2017-2018 Anthony Georgieff and Yuliyan Hristov. All rights reserved. 3D Visualization: © ZOOM Studio + DUO Atelier. All rights reserved. Graphic Design, Film and Web Implementation: © 2017-2018 formschlag. All rights reserved. © 2017-2018 America For Bulgaria Foundation.